Description Heavy Shooter is a post apocalypse fps first person shooter game where you are a rogue female assassin and killing is your duty. 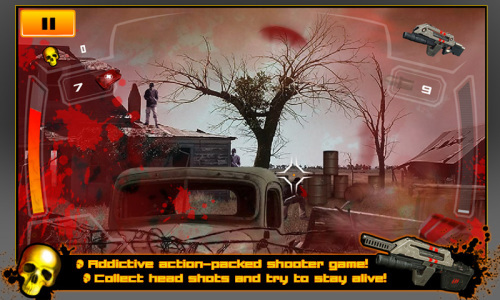 Shoot it out in four different battle fields; War Zone, Radiation, Crash Site and Quarantine. Accumulate skulls in game and upgrade your assault weapon and game perks. Your shooter skills will be put to test on the front line! Clear waves of enemies, unlock new levels and complete side challenges. A true call to arms. Controls Use MOUSE to aim and shoot or interact with menu.